During the nineties, Robert Downey Jr became more famous for his drug-fuelled lifestyle than his acting talents. He once famously told a judge, “It’s like I’ve got a shotgun in my mouth with my finger on the trigger, and I like the taste of the gun metal.” In 2003, Robert managed to break free of his addictions and has managed to stay clean since that time. Unfortunately, the darkness of addiction has not left his life completely – a couple of months ago his son Indio was arrested for possession of cocaine. Robert Downey Jr accompanied his son Indio to court, and being there must surely have triggered many troubling memories. During the nineties, Robert repeatedly ended up on the wrong side of the law – he was out of control and did crazy things such as driving around high with a .357 Magnum by his side, and breaking into his neighbour’s house and going to be sleep in his bed. Robert was in his thirties by the time he started developing serious problems due to substance abuse, yet his son Indio is just 20. In a recent interview, Robert talked about how his son had reached rock bottom (he refers to it as ‘the chasm’) much quicker than he did – he feels that this happened so fast for his son because life is accelerated due to the internet and social media. 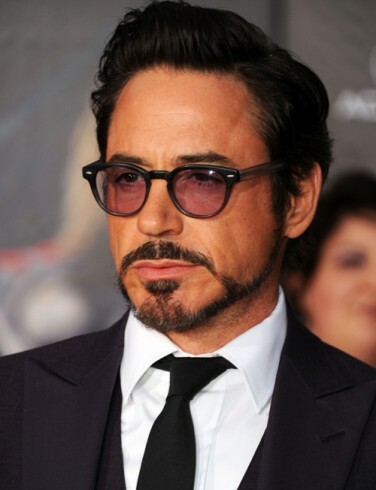 Indio Falconer Downey entered rehab after being caught in possession of cocaine. The fact that he was already receiving treatment impressed the judge, so it was decided that Indio would not have to serve any jail time – he was ordered to complete his treatment and was put on probation for the next 18 months. The judge also ordered that Indio wear a bracelet with the words ‘stay clean and sober’ to give him a daily reminder to commit to sobriety. This recent ordeal with his son must have been tough for Robert Downey Jr. All addicted parents who enter recovery probably have the hope that by escaping their own troubled past it will mean their kids will never have to endure a similar hell. Unfortunately, this is often not the case and many of the most inspirational people in recovery can have to endure the pain of seeing their children struggle with addiction. Can Parents in Recovery Protect their Kids from Addiction? Is it Robert Downey Jr’s fault that his son has developed an addiction problem? The answer to this is emphatically no. There is likely to be a hereditary component when it comes to this condition, but this only increases the likelihood of becoming addicted – it’s also silly to blame people for passing on the wrong genes. Indio may have memories of his father during those lost years of drug abuse, and this could have an influence on his behaviour, but he has also seen his father build a new life in recovery. helping children develop effective coping strategies for dealing with life so they do not feel the need to turn to alcohol or drugs.